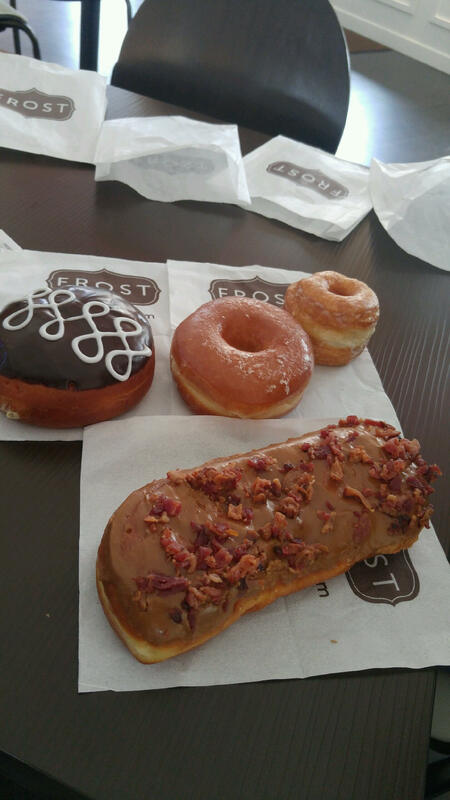 Bacon Maple Bar, Bavarian Creme, Raised Glaze, Froissant. A large open space with many tables. There are donuts as well as some cafe items like soup, sandwiches, and salads. They even have cakes, macaroons, and a gluten free cupcake. You can get a little bit of everything at this shop, but be prepared to deal with a unique labeling system akin to Starbucks and some pricier selections. 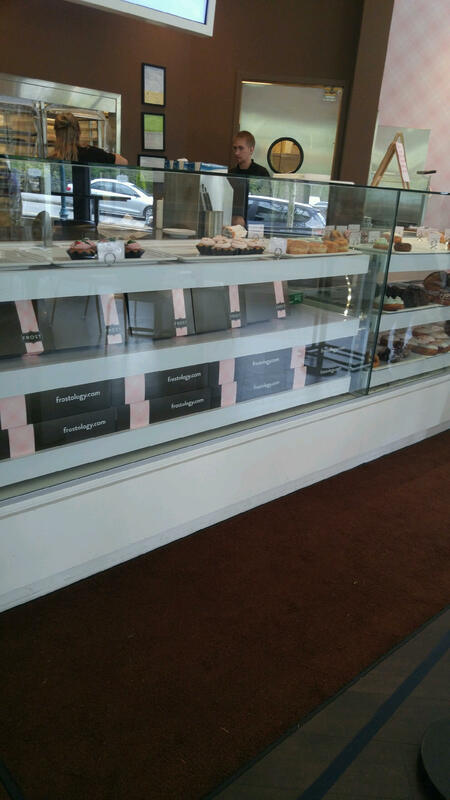 Everything is neatly displayed in the front counter and low enough so you can see every donut. Donuts. They are large. They are tasty. The place was not crowded and there was plenty of parking. They have some unusual donuts that I want to try out next time I visit, like lavender old fashioned. 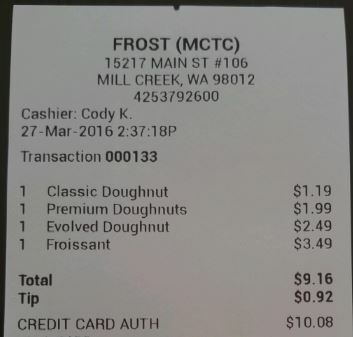 If you have questions on which donuts are ‘evolved’ and which are ‘premium’ the employees will set you straight. 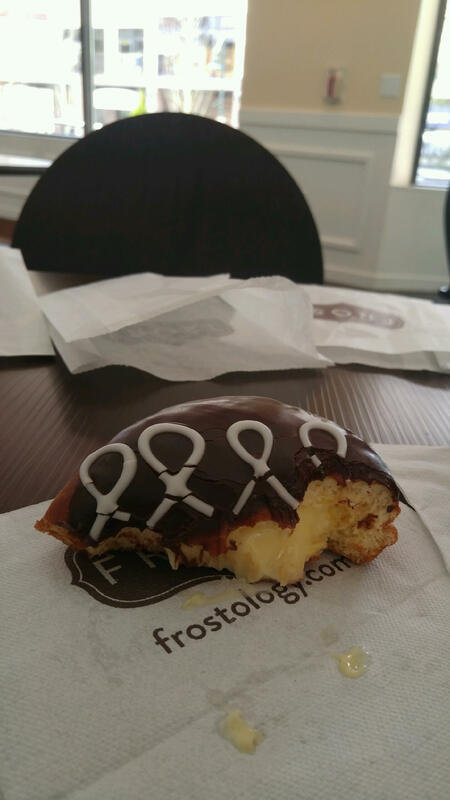 I liked how open the space felt and how large the donuts were (you can share!) I thought the maple glaze on the bacon maple glazed was better than most maple glazes out there. Besides, it’s hard to go wrong with bacon. ← All About the Donuts: Donuts in an Empty Field (For the Love of Donuts Book 1) Publication Day June 3rd!